Benromach Distillery reopened in the 1990s. 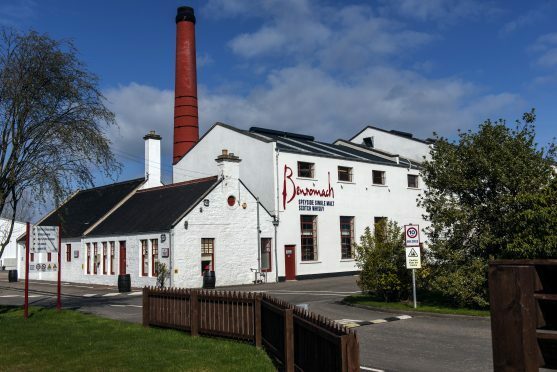 Benromach Distillery in Forres was closed by Scottish Malt Distillers in 1983 before it was brought back to life by the Urquhart family and reopened by the Duke of Rothesay in 1998. More than 13,000 visitors now tour the historic site every year in order to learn more about the whisky it produces. And Visit Scotland has recognised the effort put into reviving one of the region’s historic distilleries. Regional director Jo Robinson said: “Whisky is one of Scotland’s most valuable commodities, with visitors from all over the world coming to our shores to experience an authentic Scottish dram. “Whisky tourism has a strong record of investing in and improving the visitor experience, which is paying dividends for communities by creating jobs and sustainable sources of income. Susan Colville, Benromach’s brand home manager, added: “We have seen a steady increase in visitors over the last five years, from 8,000 in 2013 to 13,500 in 2017, with May, June and August at record figures.